I don’t own a pouchie, but I have been aware of APOPO’s work for a while. On my lunch breaks, I watched the videos of their brave and highly-trained rats pop up on my Facebook feed. The cleverness of the land mine clearing operations and the intelligence of APOPO’s human and Pouched Rat agents made a lovely change from the usual mix of drama, food photos and memes that go with any form of social media. I learned more about Pouched Rats after adopting three smaller muroids. Fancy rats are much more commonly kept as pets, although both are classified as exotics by many vets, and they are distant tenth cousins to pouchies. The difference between fancy rat ownership and Pouched Rat ownership is comparable (in scale and rarity) to the difference between owning a toy dog breed and a wolf. And yet, the more I researched about fancy rats (joining more and more groups, reading more and more papers and articles), the more often I stumbled across APOPO’s HeroRATs. Fancy rat owners, well aware of the problem-solving (and causing) capabilities of their own dig-happy, nose-twitching mischiefs, are often spellbound by Gambian Pouched Rats, particularly ones that put their skills to work saving human lives. Now I’m in the same boat. I like the name HeroRATs. I admire the defiant capitalisation of RAT. I’m not sure it was APOPO’s intention, but to me, it showed they were happy to shout about the rat-ness of their mission. Rats, of whatever size, get bad press – literally. Not a day goes by without someone posting a supposedly disgusting video of a wild Rattus Norvegicus (or sometimes a Rattus Rattus – the smaller, less cold-resistant little brother) breaking into a bakery (http://www.telegraph.co.uk/news/2016/12/11/rats-filmed-tucking-sandwiches-popular-bakery-chain), sneaking into Primark (https://www.thesun.co.uk/news/2497198/primark-rat-video-window-display-bexley-london) or pulling a bin bag across a street (http://nypost.com/2017/06/20/rat-caught-dragging-trash-bag-across-sidewalk/). Morgan Spurlock, the man behind Supersize Me, created a documentary about the wild rat which focuses not on their life-cycle or biology but on the “war” between rodents and humans: http://www.telegraph.co.uk/films/2016/09/26/rats-is-morgan-spurlocks-new-horror-doc-the-most-disgusting-film. Rats have been used in horror stories and dystopian fiction to depict the height of fear and the depths of inhumanity. The truth is, rats and humans have always been competitors. We are similarly adaptable, omnivorous and wide-ranging in population. It’s not overly surprising that centuries of raided grain supplies and the (sometimes accurate, sometimes inaccurate) focus on wild rats as disease vectors has given us a whole heap of negative associations. 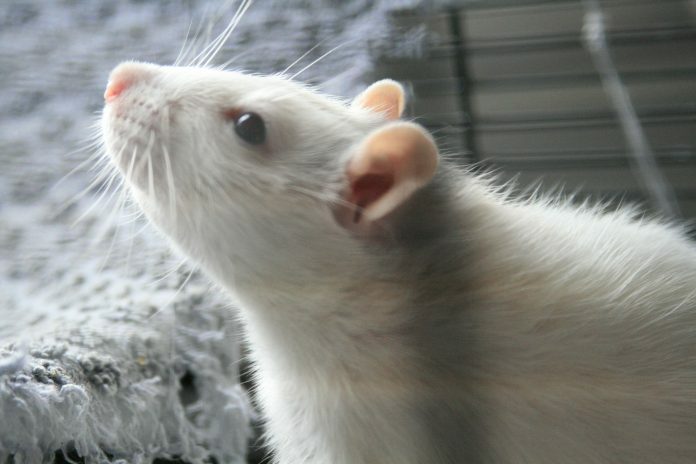 Rats are associated with poverty, violence and illness. To rat someone out is to tell on them. A love rat cheats on their partner. Describing someone as rat-faced is to imply ugly features and a certain kind of dishonesty. It’s going to take a very long time before society as a whole takes a more balanced view of scavenger animals, but pouchies are helping that happen. With each mine they help defuse and each tuberculosis case they detect and help treat, Gambian Pouched Rats show there is more to rodents than pest control. Recently, one of my colleagues (who had been cursing rats two weeks ago after one found its way into his kitchen) adopted an APOPO HeroRAT. To make RAT a big part of APOPO’s identity is to hold up a banner for rats, and that’s something that probably appeals a lot to fancy rat owners like me, who spend at least some of our time explaining to people with screwed-up facial expressions that, no, they aren’t scary; actually they make great pets, really. Even ‘normal’ pouchies make a difference. Pouched Rats have undeniable charisma. Weighing in at 1 to 1.5 kilos, they sidestep some of the fear-inducing behaviour of their tinier relatives. They don’t scuttle, they lope. They are recognisably substantial animals. You wouldn’t jump onto a chair and lift your skirts to avoid one. They are also interested in people – and people are interested in them. Pouched rat videos have been viewed millions of times. As a fancy rat owner, I have dedicated some time to training my three adoptees. As they came to me relatively late, there are limits to their behavioural elasticity. I noticed very quickly that they were driven by food acquisition – there isn’t a play drive or social reward as there is in dogs. My girls can stand on my hand, walk on their hind legs, spin on the spot, jump hurdles and run through a hoop on command. It inspires me to see pouchie owners go so much further. One of my favourite Twitter feeds – @Arnopouchie – regularly posts updates on Arno’s behaviour. He’s learned to use the loo! My girls will never do that, partly because they are getting stubborn with age and partly because they’re easily small enough to fall in. I was also fascinated to see a video of a pouched rat gently lead her human to “meet” her babies: https://www.youtube.com/watch?v=4i-Iyn0NSIE. It reminded me, in a more complex way, of my girls tugging on my trouser leg for attention. This video alone reached tens of thousands of viewers. My three girls inspired me to write a trilogy of children’s stories about wild rats. APOPO, and Gambian Pouched Rats, inspired me to publish those stories recently. To date, over 130 books have been sold and £175 has gone to APOPO with more on the way. Many of those early sales were driven by fancy rat owners – another case of rats helping rats. I’m not sure I’ll ever get a pouchie. Three little rats are enough of a handful for the moment, and I know pouchie owners are dedicated and highly invested in an intelligent animal with varied needs. But if I ever get to meet one, I’d like to shake it by the paw for making life a little better for rats of all kinds. Ship Rats, which raises funds for APOPO HeroRATs, is available on Amazon, Smashwords and Lulu or (the cheapest and best option) available from the author (UK only). Visit www.facebook.com/rhiwaller for details.